This time of year is filled with bittersweet. The bitterness of saying goodbye to the warm lazy summer days and happy times at the pool. The sweetness of welcoming in a new school year, with sharp new pencils and shiny new shoes. The bitterness of putting away the relaxed summer wardrobe - flip-flops, careless t-shirts. The sweetness of taking out cozy winter sweaters and fleece. And last, the bitterness of saying goodbye to peaches and plums, cherries and asparagus. And with it, the sweetness of welcoming back pumpkins and winter squash, sturdy greens, hearty stews. Consider this post an ode to the last weeks of summer. 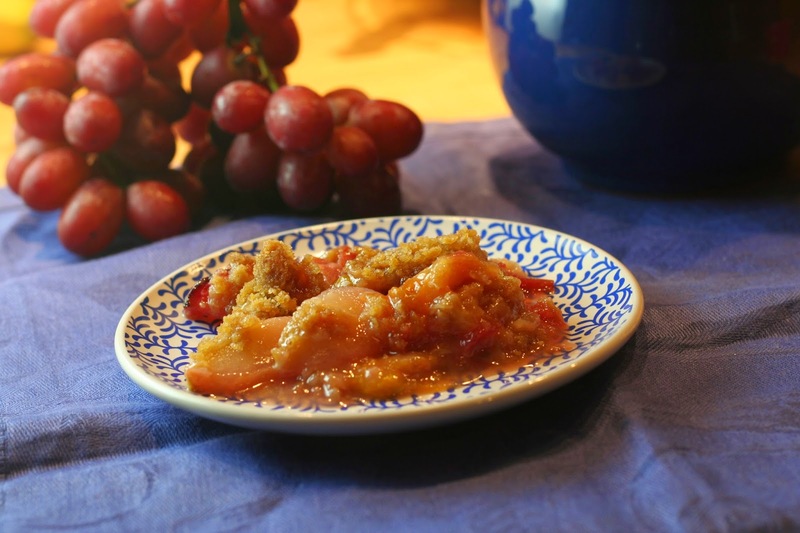 This crisp is a celebration of a new fruit I discovered this year: Ground Cherries. (No, they are not ground. They grow in the ground. They have these soft papery husks around them. And they don't taste anything like cherries. Go figure.) And a celebration of the fruit I have enjoyed as far back as I can remember: plums. Thank you, Cedar Post Farmer's Market! You make my world a happier place! This is my standard fruit crisp formula. 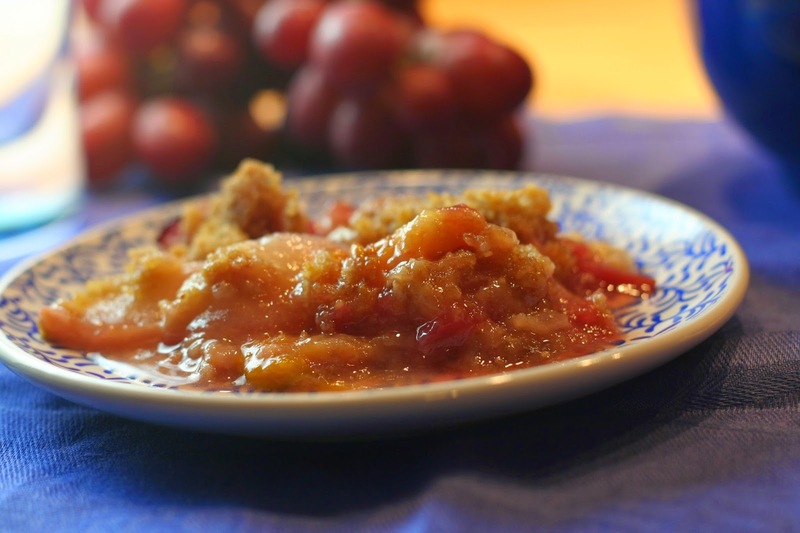 The ground cherries gave it an exotic, almost tropical aroma and flavor. 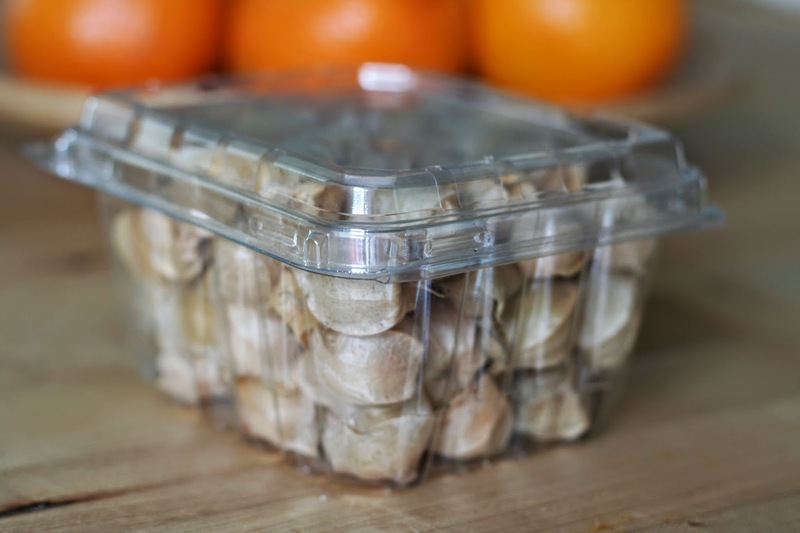 But you can easily leave them out or swap in regular cherries. That's what I usually do when I'm not off finding exotic ingredients. 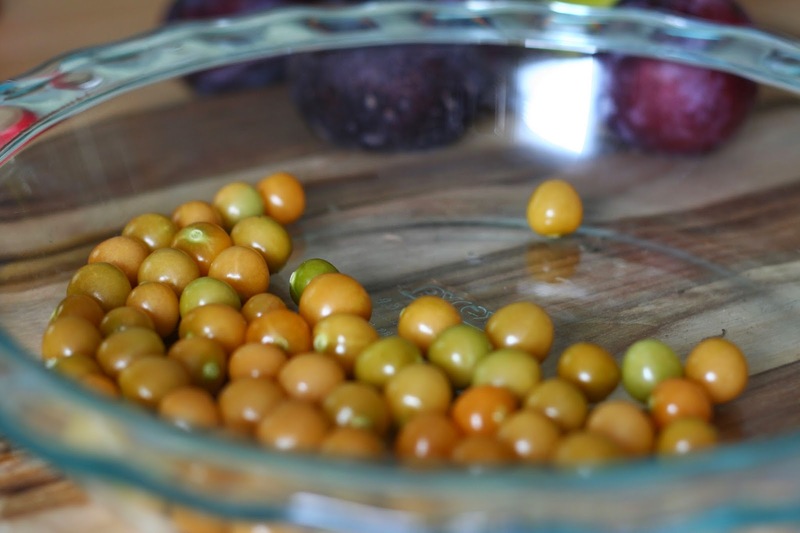 Peel the ground cherries. 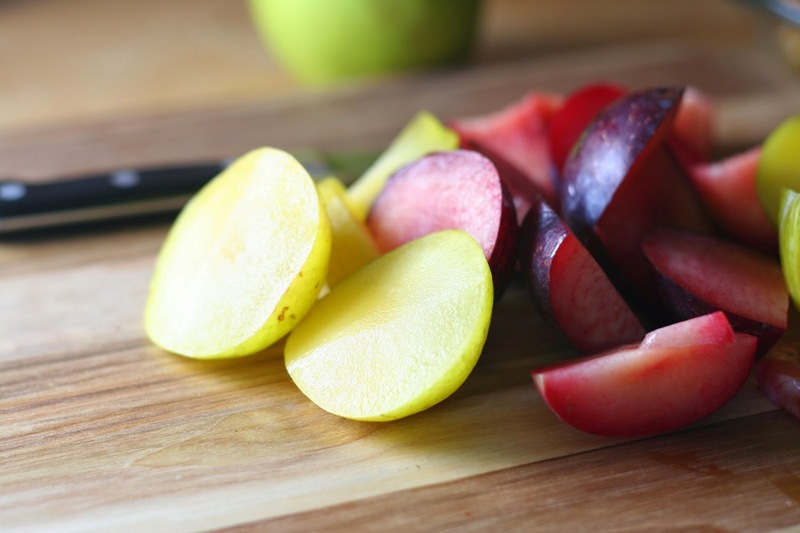 Cut the plums and apples into wedges about ½ inch thick. Add the corn starch, mix together in a large bowl, and put in a large pie dish. In a separate bowl, combine the margarine or butter, flour, and sugars. Use your fingers to mix the ingredients together into a coarse meal. Pour the topping over the fruit. Bake for 60-70 minutes, until the crisp is bubbling nicely. 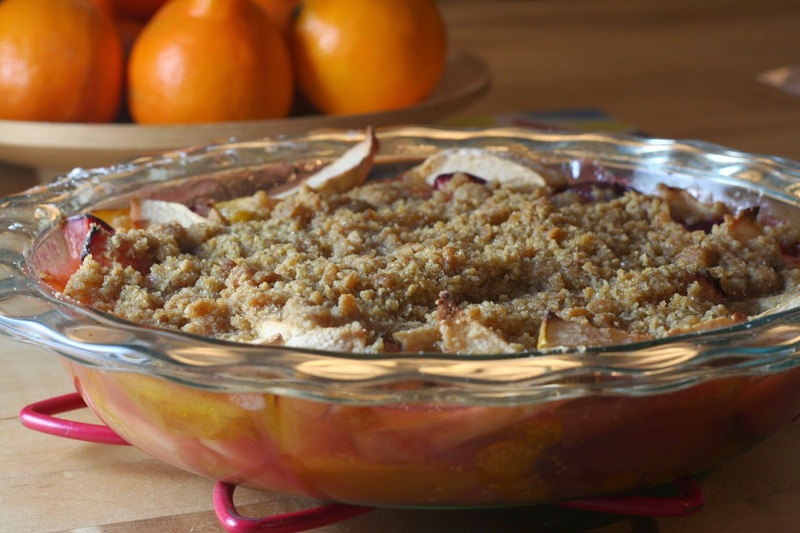 If you are using a glass pie plate, look at the bottom of the crisp. 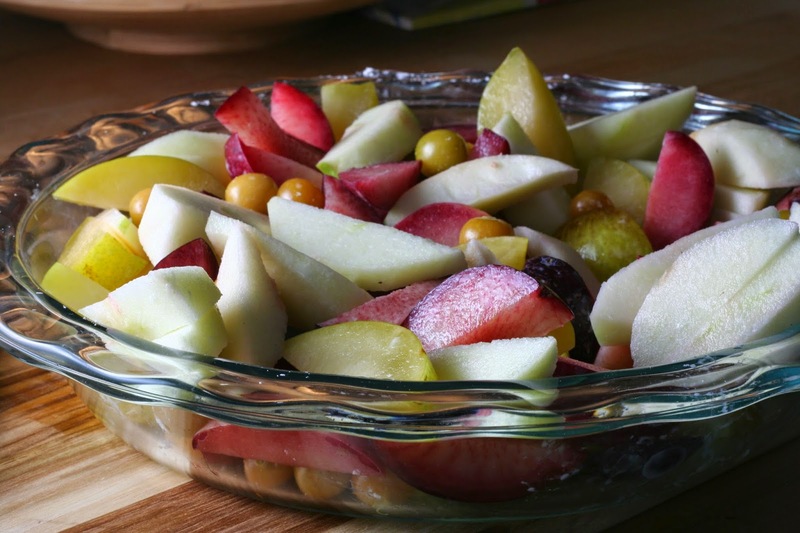 The fruit should look soft and bubbly even in the very center. 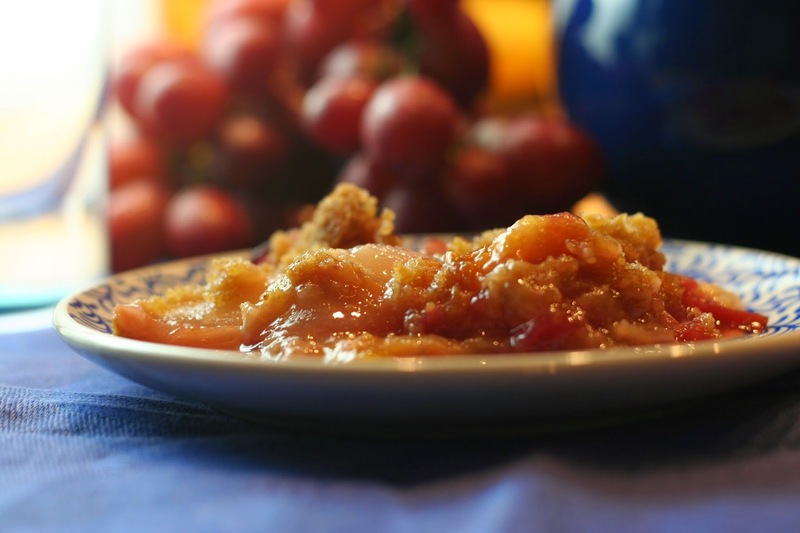 Allow to cool for at least an hour before slicing. Serve warm or at room temperature. Wow, I have never heard of them! I think though that they are in the header of some blog that I read! Yes, I had never heard of them before either. But they are really nice! 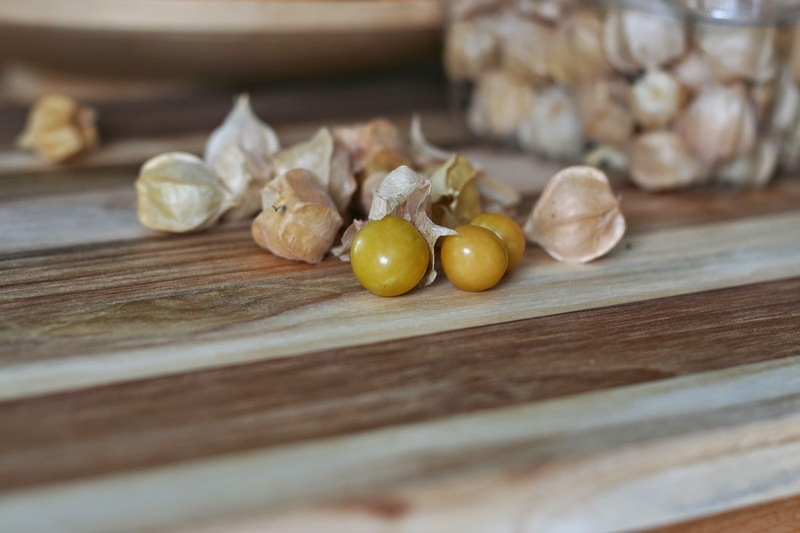 I tried ground cherries for the first time just a few weeks ago, and am absolutely smitten! I was expecting them to taste more like tomatillos due to their appearance, but with very happily surprised by their fruit, tangy flavor. First time for me, too. Definitely a new fruit to add to my repertoire! I am all about winter food at the moment and this looks perfect. Looking forward to trying it. Thanks, Dannii! Hope you do! It looks awesome - and it tasted awesome, too :). Yum, what a lovely dessert idea! I just love cherries and plums! Yes! It was a great combination! I've heard of them before but never paid much attention to them! What a shame because this looks scrumptious! I won't pass them up next time I see them. Oh good, I hope you get to try them soon. Ha! That's what I thought when I saw the sign at the farmer's market, that they had ground up some cherries. These actually aren't much like cherries at all, but they are really good.